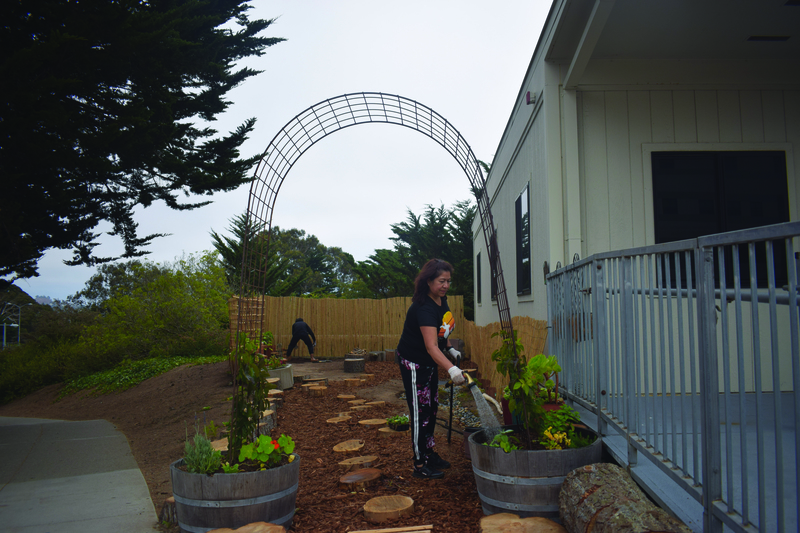 The Child Development Center (CDC) at the City College constructed a new “Nature Explorer” area on Aug. 16, as an initiative to bring nature into children’s learning experiences. 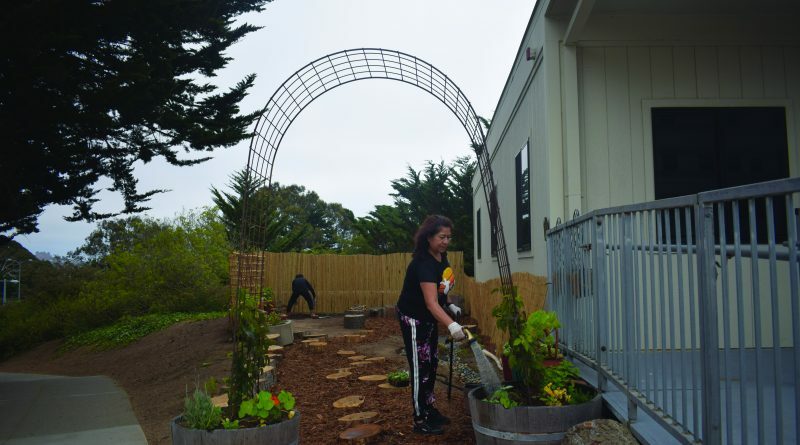 Faculty, students, parents and other members of the City College community contributed to this garden and continue to collaborate on it’s development. “We want to give kids a chance to be outdoors and to experience nature. Nature gives kids more of an opportunity to learn the fundamentals, like colors, shapes, comparing and contrasting. We can use it for art, science, and for math.” Program Coordinator of the Child Development Center, Judith Hurst said. According to Hurst, relocating from their facility located on Judson Ave. and Genessee St impacted the CDC due to the lack of outdoor spaces at their current location on Ocean Ave.
“At our old space, we did have a children’s garden and the kids were always thrilled to be there because they can always dig for bugs, look at birds, find flowers and gardens. We used it a lot. When we relocated to Ocean Ave., we did not have any of that,” Hurst said. The CDC received a grant from First 5 California for the construction of the space, where design consultant, Eliana Elias collaborated with Hurst in the development of the project. “We received donations from the San Francisco Parks and Recreation and they helped us with the the logs. We were also able to buy some things from the grant, like raised flower beds, seeds, plants and staff members also donated plants. We are not completely finished, but it should be completed in the next few weeks,” Hurst said. CDC staff and members of the City College community participate in maintaining the nature explorer area in addition completing the area. The nature explorer area will not be fully immersed in the program’s curriculum until it is fully constructed. “We’re holding off until we are done with the yard so children can help water, and play in the mornings. We will use a garden where they will grow tomatoes, mint and other vegetables like lettuce. / We teach the children about the food that they grow and get them to learn how to appreciate what they eat, learn and see,” Cook for the Child Development center, Tai Do said. Student worker and international student from Taiwan Ching Ting Kao, also participates in maintaining the garden. He is also a CDC Cook as well as a Marketing and Computer science student. “I feel like children here can only stay in the classroom, or play with some toys in the classroom, so basically they are limited to a small area. If we can build this garden, we can educate kids while having a place to stay and so teachers can also teach them.”Ching Ting Kao said. “We had some parents to come help put it together, and we also have some parents who would say they they would love to help, and offer their assistance. Everyone has been very enthusiastic about it by offering to bring plants and help.” Hurst said.